I spend so much time working on aircraft I seldom spend much time sightseeing. So I decided to take a long distance cruise around some of my old stomping grounds in Southern and Central California. 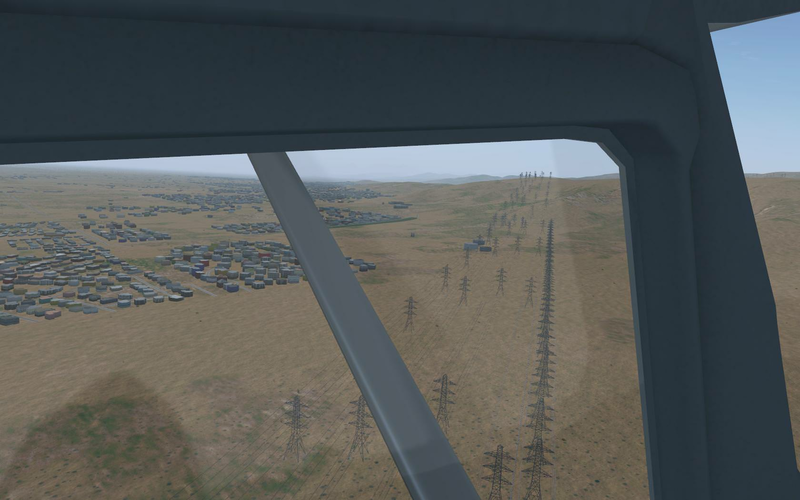 I started at a small airport near Apple Valley and headed across Palmdale to land at the Agua Dulce Airpark. Being born in Landcaster I suppose I am an original "desert rat". When I was a youngster I flew in and out of the Agua Dulce airport with my cousin and uncle. My Grandfather had land in the area with this incredible rock house he built with his own hands. I was in that house at the ripe old age of two when it was struck by lightning and burnt to the ground, well all but the rock shell. On to the north to Castaic Lake to see what it looks like in our scenery. It was there but the scenery didn't do it much justice, same with Pyramid Lake I saw pretty much the same thing. I set a course to Santa Barbara Airport across the Sespe Mountains hopeful to see one of the over 100 California Condors that have been reintroduced to the area. What a great act of humanity saving that species, very near and dear to my heart. Once I got to Santa Barbara I refueled and decided to go see if the Exxon processing plant at Las Flores Canyon was represented, a plant I worked on during it's development as a computer tech years ago. I made many a trip from Thousand Oaks up the Pacific Coast Highway to the canyon carrying computer hardware. Shortly after crossing El Capitan State Beach I found the canyon and sure enough there were some scattered buildings and oil tanks. 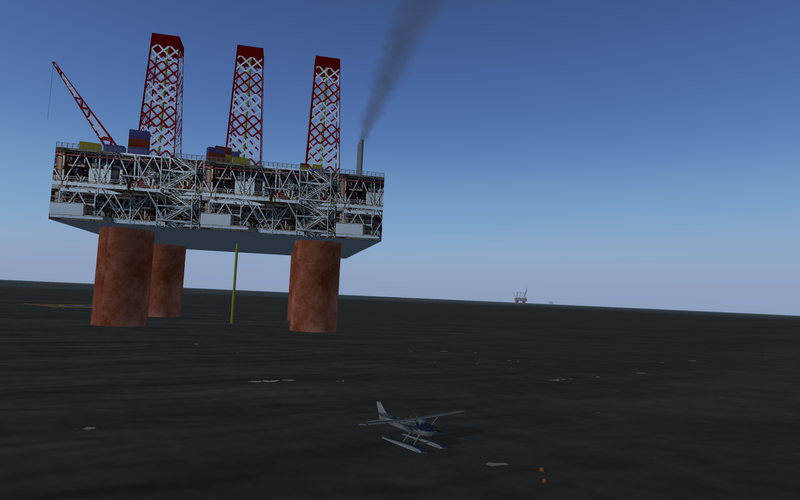 I then notice a platform offshore and decided to go check it out. As I got closer I noticed another one a little farther out and then a third even farther. I couldn't believe it Hondo, Harmony and Heritage, all three platforms that were to feed the processing plant were all there and still pumping oil. I decided to anchor up and ask some of the old gang if I could spend the night out there in the shadow of the rig. It's getting late and I think maybe I will continue this journey tomorrow. My plan is to head north to Morro Bay, another old stomping ground. We'll see if any of those monster lingcod are still hanging out in the jetty protecting the bay. 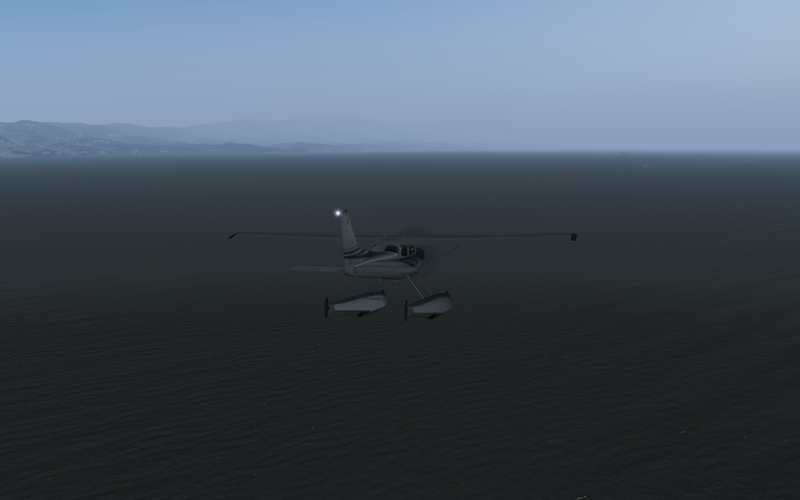 Or better yet, maybe I'll try another water landing on the seaward side of Morro Rock and just fish from the aircraft. 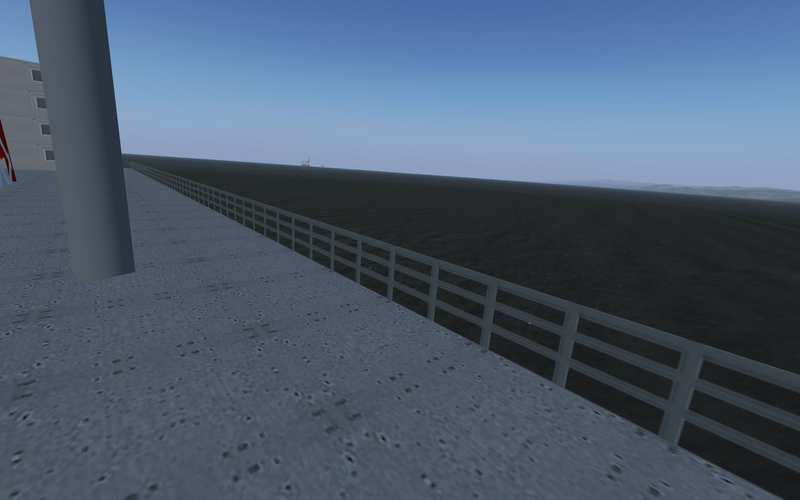 What a nice surprise it was to see this in FlightGear! 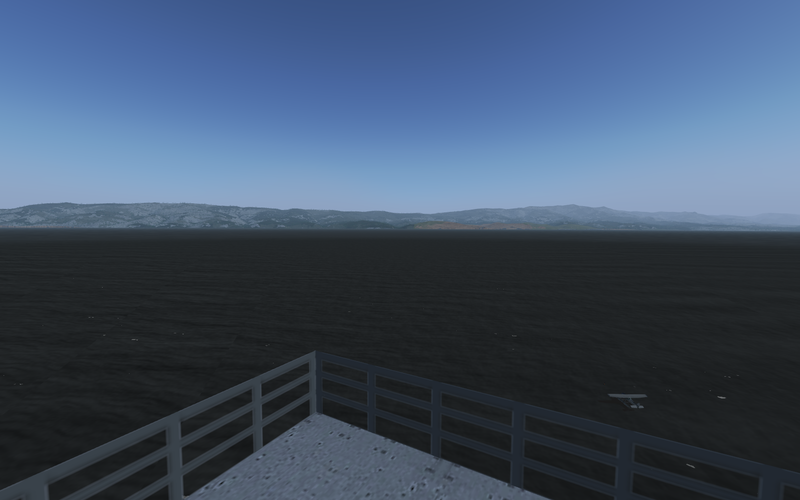 With an interesting story with them (a partial CV illustrated with FlightGear screenshots? ).